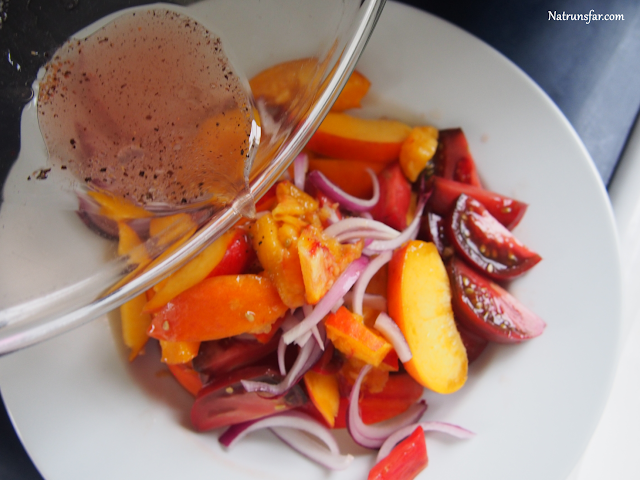 Natrunsfar: Peach and Heirloom Tomato Salad = Happy Summer! 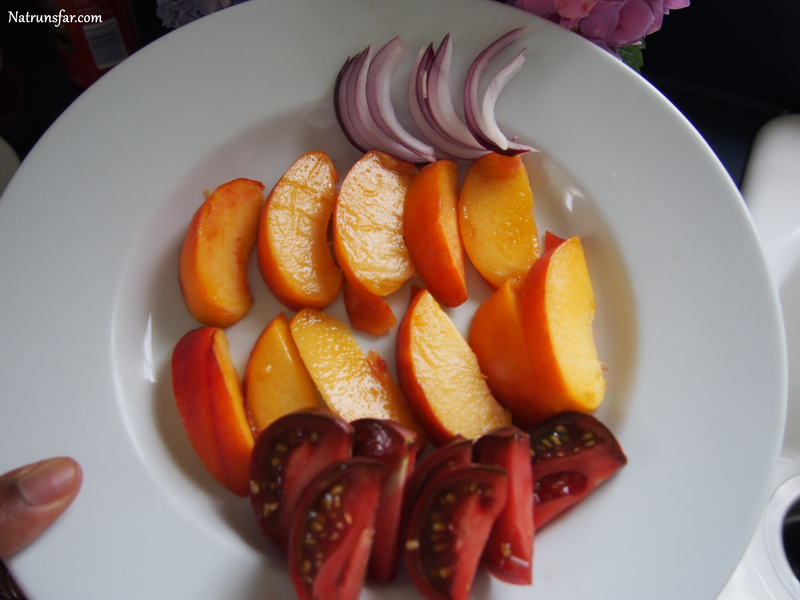 Peach and Heirloom Tomato Salad = Happy Summer! 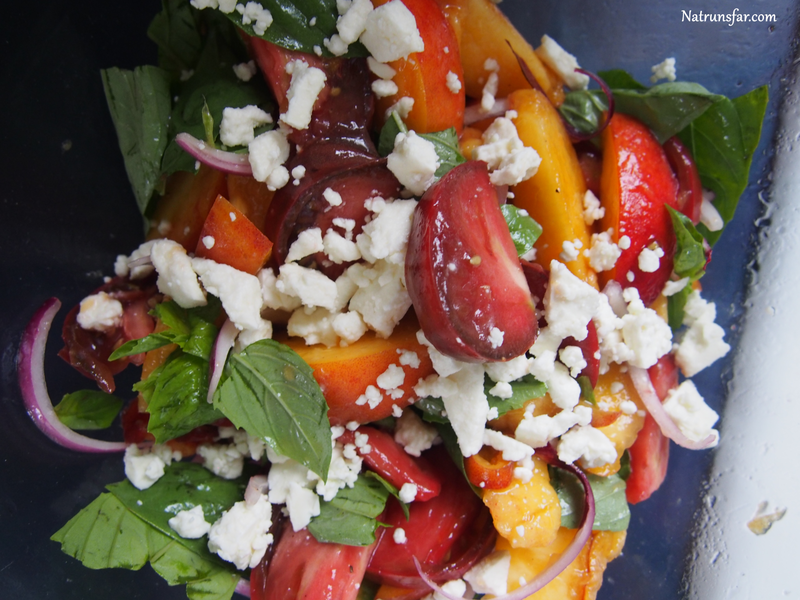 July is peak peach season which is reason enough to celebrate. 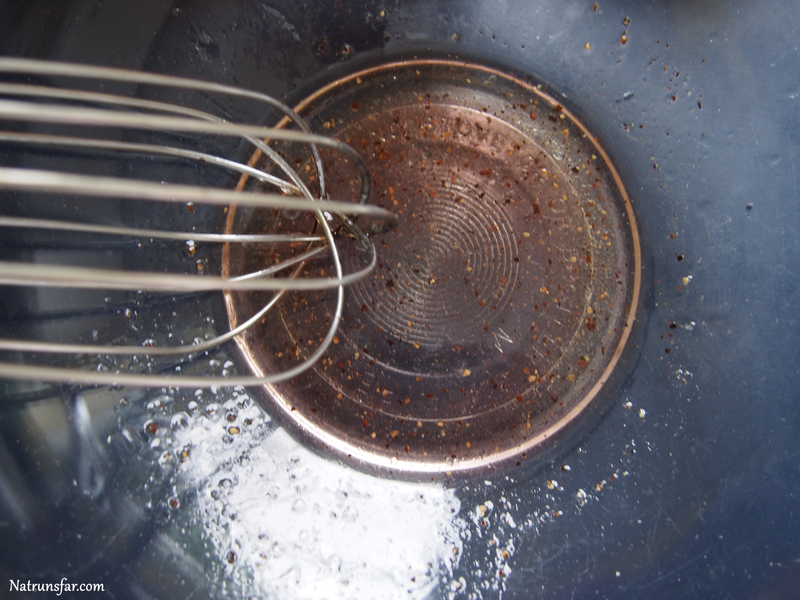 Fourth of July is rapidly on the way, which means light summer fare and lots of eating will be on tap this weekend. 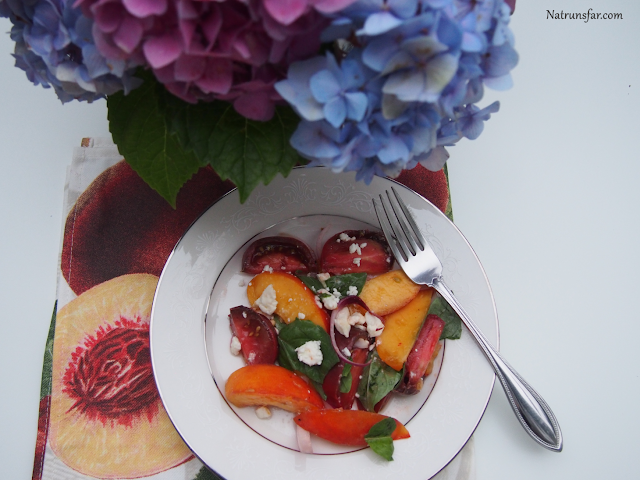 Today, I want to share with you a wonderful summer salad that you are going to love! 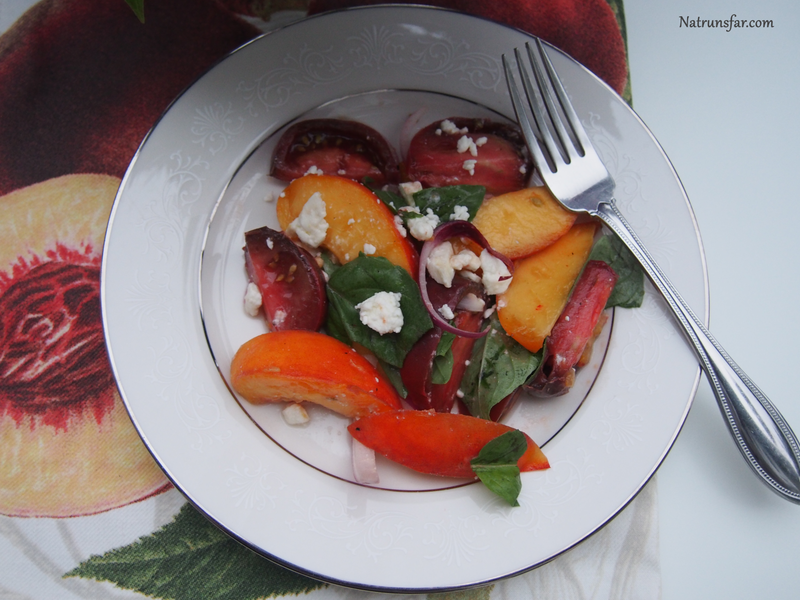 Think sweet, juicy peaches, mixed with succulent heirloom tomatoes and topped with fresh organic basil + crumbles of feta cheese, to give it just the right amount of bite. 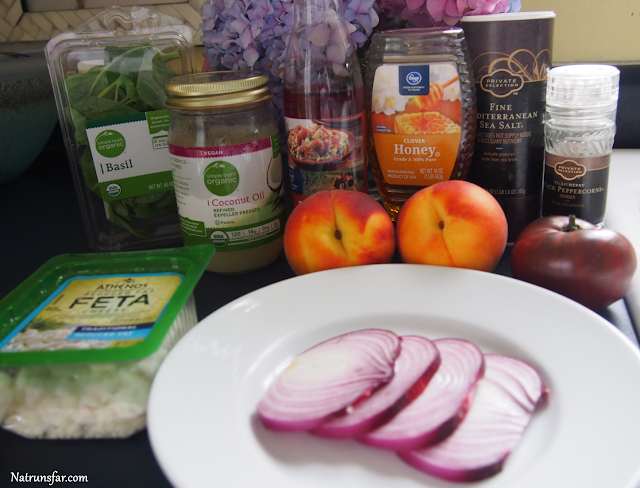 This salad is absolutely so wonderful, that you are going to want to mix it up and serve it for dinner before July 4th! I got silence and (good) groans at the dinner table this evening, which is always positive. 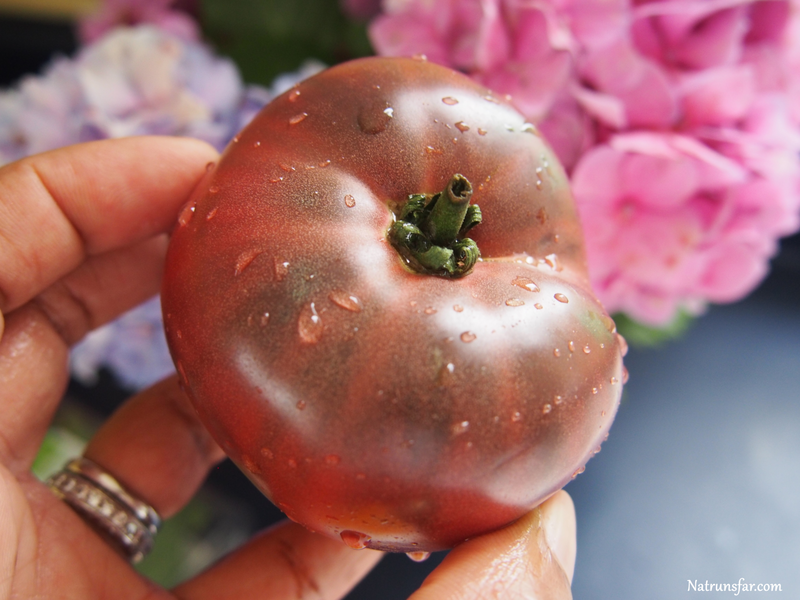 Josh has now become a little bit of a picky eater, and tomatoes are one thing he isn't crazy about. Well, tonight he ate everything and asked for seconds! I think that is a good sign, don't you? 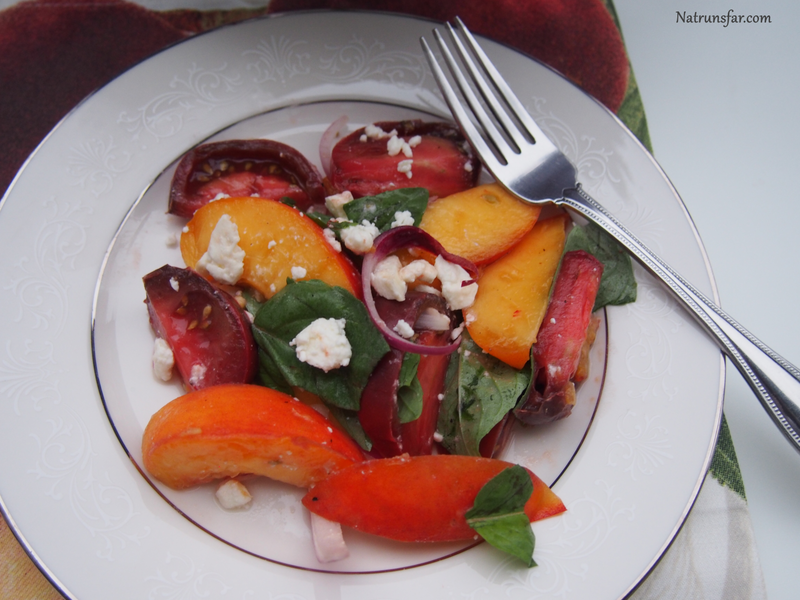 Not only is this salad delicious, it also looks really pretty on the plate. I love all the vibrant colors that remind us summer is here. Happy eating and happy running friends. Do you have 4th of July traditions?